Do you know about the #DadsRead campaign? If you don't, please read on! Boys especially benefit academically (and, I suspect, emotionally) from having their father read to them. While I know that as a parent and a homeschooling mom my children's ability to read and their love of books rests heavily on my shoulders, I'm not the only one who plays a major role in their literacy. My husband has taken an active part in helping me create a reading culture in our home life ever since our children were little. Before they could read, it was common for my kids to pick up one of their favorite books lying around the house and climb into the lap of whichever adult was closest. My husband spent his fair share of time reading to them. Later, he would read to them before bed from the set of Little House on the Prairie books that his own grandfather had given him when he was a child. When my daughter was born, he had me store them somewhere safe until she was old enough to enjoy the stories. Although our children are now 8 and 10, he still reads to them every once in a while before bed from that beloved set of books. He also brings a very different set of reading materials into their lives. Twelve years go, he inherited an entire library of books about birds. Encyclopedias, field guides, fiction and non-fiction, manuals, magazines...you name it, he got it. And because I was a major book buyer when I was still a zookeeper, we have an entire home library of books about animals and nature. He had to custom build bookshelves to hold all the books, and we still are overflowing. It's not uncommon for him to send one of the kids into the library to grab a book and then I might find them reading it together. Or he might ask my daughter to study up on a specific animal and then tell him about it. All of this doesn't just improve my children's literacy skills. It also gives them common ground - shared interests - with their father. It promotes love and companionship and helps them to find the connection that all family members need. Today, both my kids are avid readers who read way above their grade level. They love a good story and even come up with pretty good ones themselves on a fairly frequent basis. It's not hard to create a reading culture in your home, but it does take both parents to do so. That's why this Father's Day, I'm happy to support Zoobean and The Good Men Project's #DadsRead campaign. Because it's not just about reading. It's about supporting, encouraging... and loving. 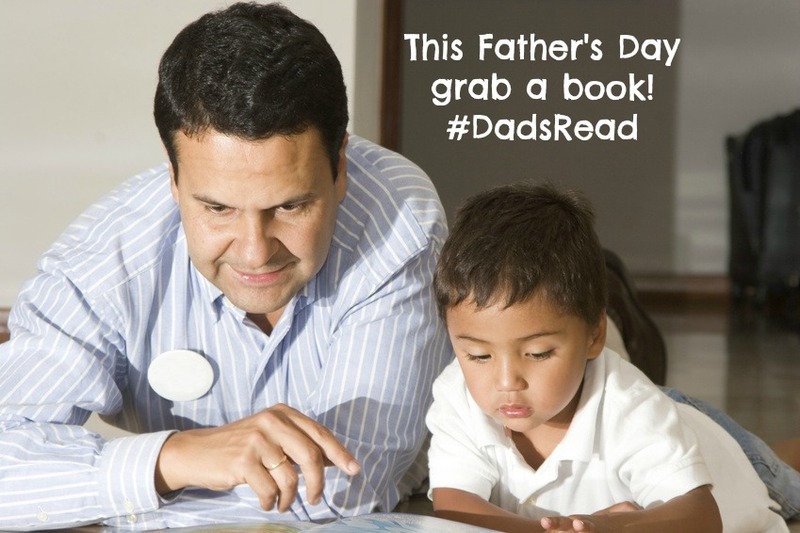 Learn more about how you can participate this year in the #DadsRead campaign here. Don't miss the #DadsRead Twitter party on June 12 at 8pm ET. I'm looking forward to it and hope to see some of you there, too! Disclosure: Although Zoobean is a sponsor of this site, I was not compensated for this post. I was asked if I would participate in this great initiative, and I said yes because I'm a big supporter of parental involvement and children's literacy. All thoughts and opinions are mine! Absolutely! Thanks for sharing the information with me.